Accessible only by boat from Hampton River Marina on St. Simons Island’s north end, Little St. Simons Island is a privately owned, 11,000-acre barrier island resort. 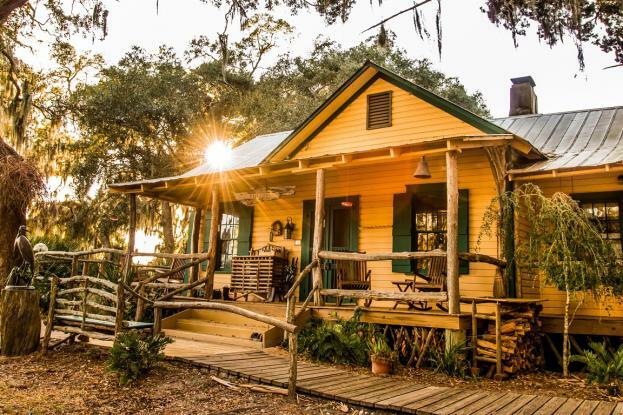 Known for its privacy, The Lodge on Little St. Simons Island features six charming cottages, several of which date back to the early 1900s, that can host a total of 32 guests at one time. An ideal destination for family reunions and small gatherings, Little St. Simons Island offers guest activities ranging from guided nature walk day tours through the ancient maritime forest (led by a staff naturalist) to canoeing, kayaking, fishing, shell collecting, bicycling and birding. Guests may also choose to pass the day relaxing on the porch or enjoying the tranquility of the island’s seven-mile, undeveloped beach. View current Golden Isles specials and packages for your next Little St. Simons trip. Little St. Simons Island also provides day trips which include round-trip private vessel transportation, a guided island tour led by an experienced naturalist, a hearty lunch of low country specialties and an afternoon on seven miles of private beach. Check out our three favorite things to do on Little St. Simons Island.